After the protests started February 22 against President Abdul Aziz Bouteflika and his entourage, organisers started sending messages on Facebook calling for demonstrators to stay peaceful and clean up after themselves. 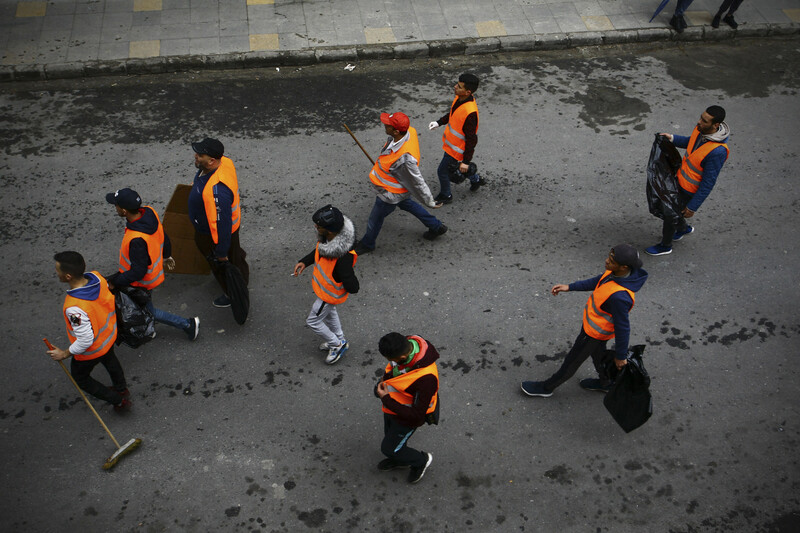 Now the cleanup operation is a fundamental part of the Friday protest ritual, including individual volunteers pitching in around the city, along with more organised crews wearing orange vests. “We’re volunteers. We organised ourselves after appeals on social networks. The shop owners give us free garbage bags. We have formed several groups,” said Abdullah Debaili, 36, a cleanup worker from the working class Algiers neighbourhood of Hussain Dey Est. 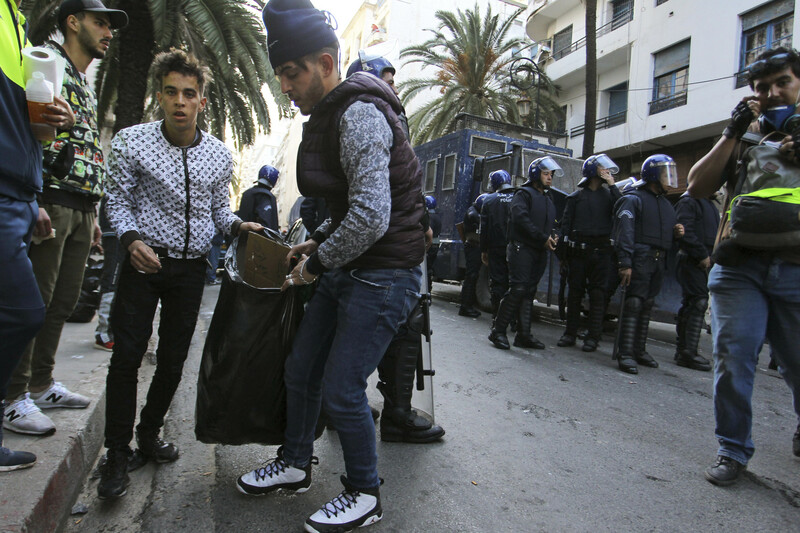 In this Friday March 22, 2019 image, groups of young people roam the streets picking up bottles and other detritus after Algeria's weekly pro-democracy protests, in a powerful demonstration of the movement's peaceful, hopeful spirit.